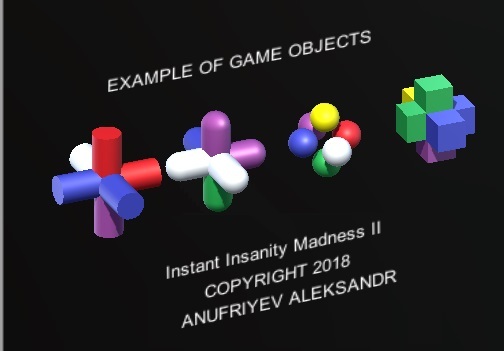 The game includes 2 or more objects with different colors on the sides or different images on the sides. Objects can have different shapes. Task: the all left and right sides of this objects must have different colors. All tops, bottoms, backs, and fronts of this objects must have different colors. The sides between objects must have different colors. Page created at 2019-04-21 16:13:46, Patent Auction Time.